CleanBox PRO muuntaa balan­soidun signaalin balansoimatto­maksi ja päinvastoin. Yksi osio muuntaa kaksi balansoimatonta signaalia balansoiduiksi (RCA tai ministereoplugi -> XLR-uros), ja toinen osio puolestaan toisinpäin. The CLEANBoxPro provides two channels of unbalanced to balanced level conversion and two channels of balanced to unbalanced level conversion in a rugged, compact, and portable unit. 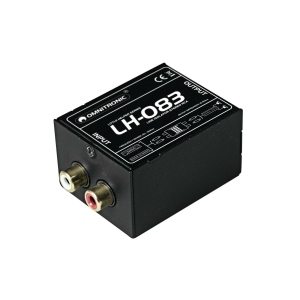 Balanced lines offer increased immunity to external electrical noise, such as hum. 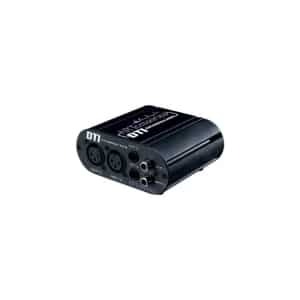 Since a balanced system minimizes induced noise, it is the preferred method of connecting audio gear, especially when long lengths of cable are used. 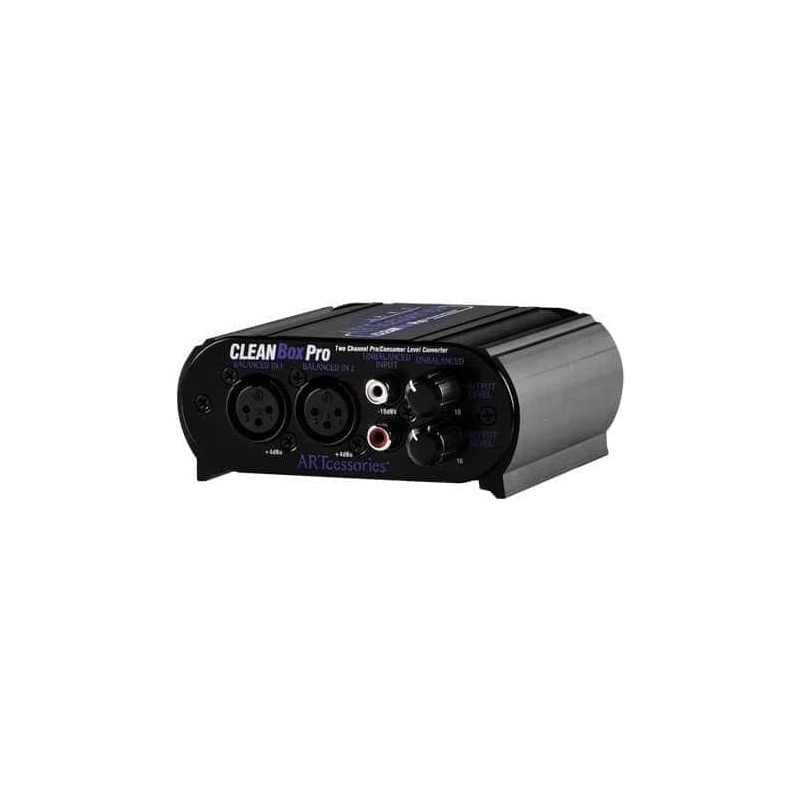 One section of the CLEANBoxPro converts two channels of consumer-level unbalanced input signals into two channels of pro line-level balanced output signals. It has two RCA jack inputs and a stereo mini-phone jack input connected in parallel. 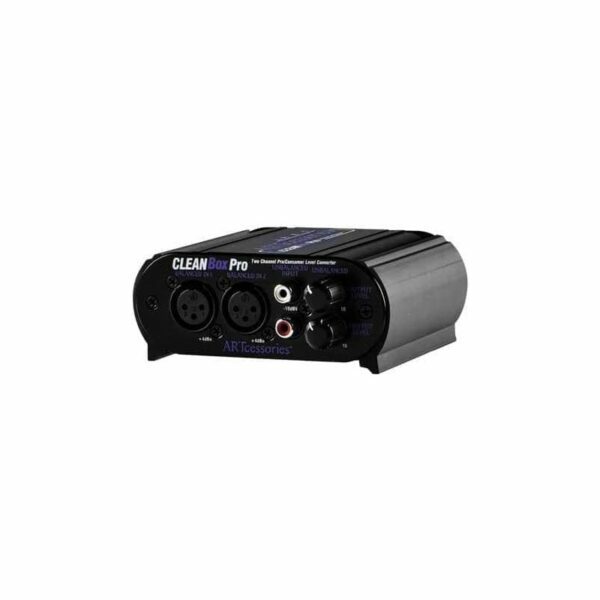 The balanced output feeds two XLR male jacks. 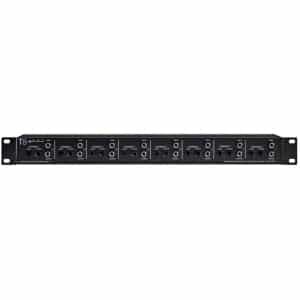 The other section of the CLEANBoxPro converts two channels of line-level balanced input signals into two channels of consumer unbalanced output signals. It has two XLR female input jacks. The unbalanced output feeds two RCA jacks and a stereo mini-phone jack connected in parallel. Each section has stereo level controls to optimize signal levels. An LED indicator lights when power is applied. The CLEANBoxPro can be an invaluable tool in application areas including (but not limited to! ): home or professional recording studios, live sound, PA, permanent installs, DJ, AV, consumer HiFi, podcasting and broadcasting. 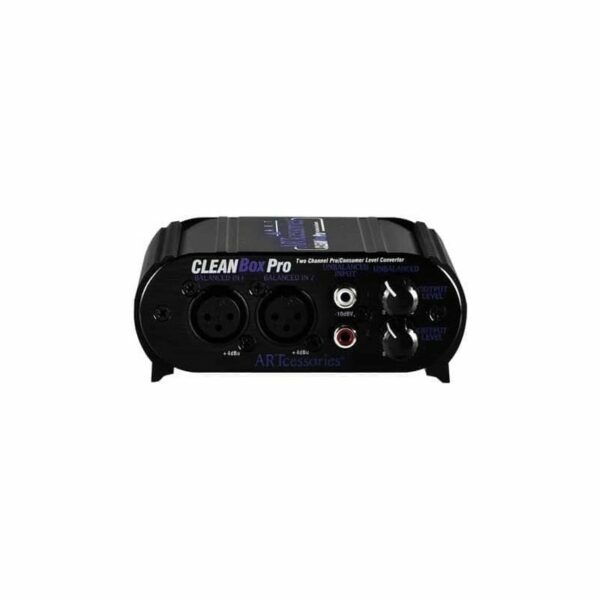 The CLEANBoxPro can be used with: mixers, audio processors, laptop computers, computer sound cards, CD/DVD players, video gaming machines, MP3 player/recorders, powered monitors and digital audio workstations.